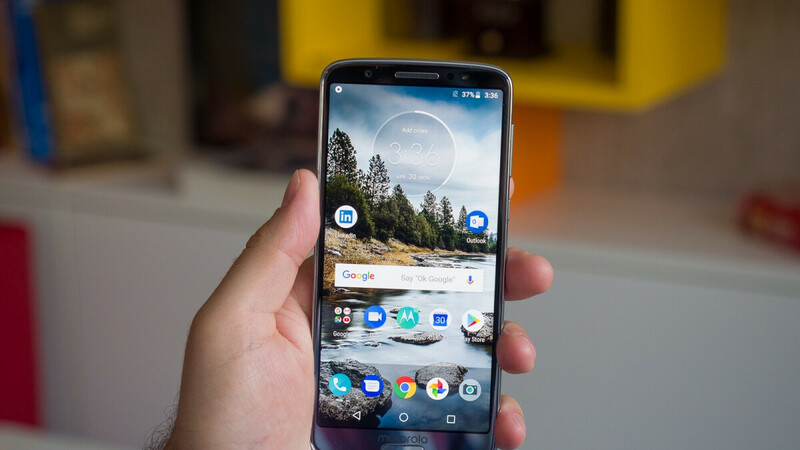 The Moto G6 has been arguably the most popular mid-range smartphone of 2018, but just because three new G-series devices are available in the US, that doesn't mean bargain hunters should now disregard the 5.7-inch oldie. Quite on the contrary, it seems, as the killer G6 deals continue to pile up, offered by everyone from Amazon to B&H Photo Video, Google Fi, and today Best Buy. Believe it or not, this latest promotion is even sweeter than essentially all previous ones... as long as you don't mind activating your heavily marked-down Moto G6 on Verizon right off the bat. There are no other strings attached, mind you, like mandatory trade-ins, monthly installments, or bill credits, and the fresh deal is good for both new Verizon subscribers and existing ones looking to upgrade their current phone. Instead of coughing up $240 outright, as you'd normally do, Best Buy allows you to pay a measly $72 and instantly own this very respectable handset with a trendy 2:1 screen sporting 2160 x 1080 resolution and relatively thin bezels, as well as Snapdragon 450 processing power, 32GB internal storage, 3GB RAM, dual 12 + 5MP rear-facing cameras, a single 8MP selfie shooter, and 3,000 mAh battery capacity. It's worth pointing out that Verizon is currently offering a discount of its own through the carrier's official website, but that only brings the $240 price down to $120... with a mandatory new line of service and device payment plans. Meanwhile, the Moto G6 continues to fetch $99 at Google Fi and significantly more in an unlocked variant from Amazon, Best Buy, and B&H. If you're wondering, the $72 price makes this a $168 off deal, representing a massive discount of 70 percent. Naturally, it's extremely hard to find a comparable product in the sub-$100 price bracket with similar terms and conditions. Anyone know Total cost of activation ($35?) Do one month of use if any($40?) Unlockable GSM? Or did I have to wait a year?